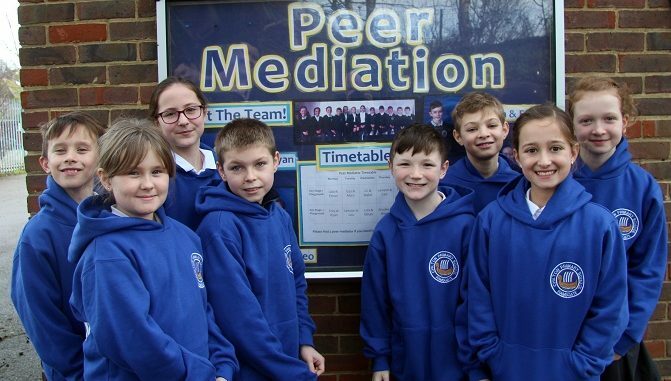 The pupil peer mediation team at Chilton Primary School in Ramsgate now have smart new hoodies. 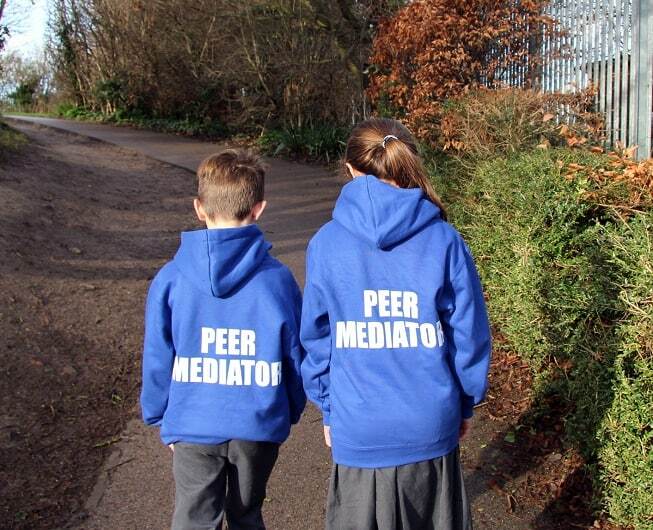 The distinctive blue top with ‘peer mediator’ emblazoned across the back in large white letters makes it easy for children to identify them during their lunchtime duties across two playgrounds. There is also a PM information board in the playground with photos identifying the 12 team members so pupils know who to look for when they need their advice. The clothing was donated by the school’s parent-teacher association which is backing the project, run under the guidance of the Dover and Shepway Mediation Service which is now operating in the area. Since it was launched in January the scheme has already been effective with the 12 trained mediators from Year 5 called into action. Two members of the team are on call each day on a duty rota system to cover Key Stage 1 and Key Stage 2 playgrounds. Their role includes listening to disputes and discussing issues with the pupils involved with the aim of reaching a fair and friendly solution. Any situations that they are not confident to deal with are referred to the adult lunchtime playground supervisors for further action.